Having just opened a few months back, we chanced upon this cute little delivery place based out of Gulmohar Enclave and were tempted to give it a go based on its quirky name *think Terminator* and even quirkier items *think Bubblegum Coffee*! Delivered in under half an hour and piping hot, here are the hits and the misses of the food. Having imagined a coffee chock-full of a riot of colours (maybe pink, blue or heck, a whole rainbow of them), we were quite disappointed to witness that the Bubblegum Coffee looked like your average one in terms of hue, but don&apos;t let that mislead you! On sipping it, our taste buds were introduced to an amazing concoction of fruity flavours blended with a strong hit of coffee. We only wished it looked more in line with its name, but nevertheless, it was pat on taste and a must try for all bubblegum junkies! What if we tell you that you can actually drink Tiramisu? 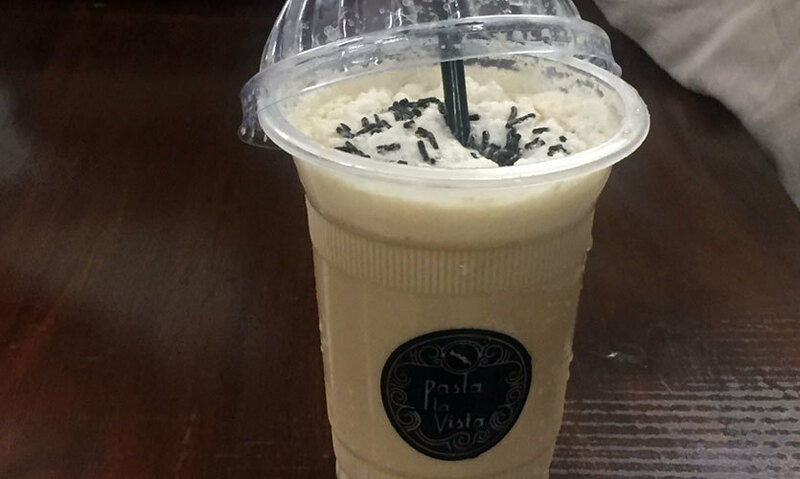 Well yes, Pasta La Vista offers a delicious Tiramisu Coffee, and it’s as good as it sounds! We loved the way the interesting flavour of Tiramisu - which anyways is a coffee-flavoured dessert, was blended perfectly with our cold coffee - when you think of it, quite intelligent and commendable! 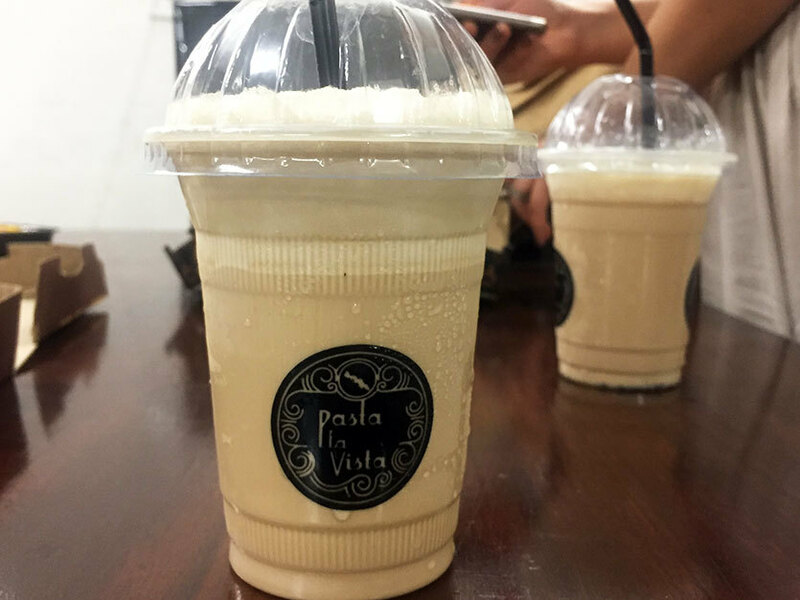 The coffee had a slight hazelnut taste to it, which we loved and slurped down in a jiffy. 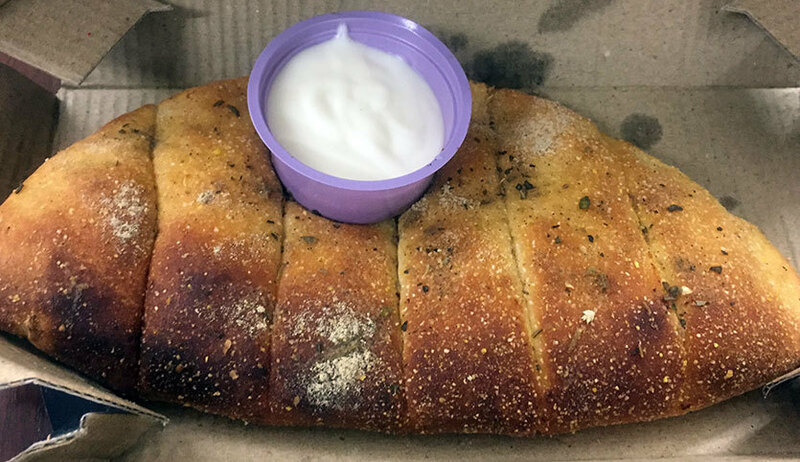 Quite curious to see what this would taste like, we thought it may be a crispy variant of the quintessential garlic bread or perhaps just sprinkled with some masala, but this one turned out to be a lot more than that! 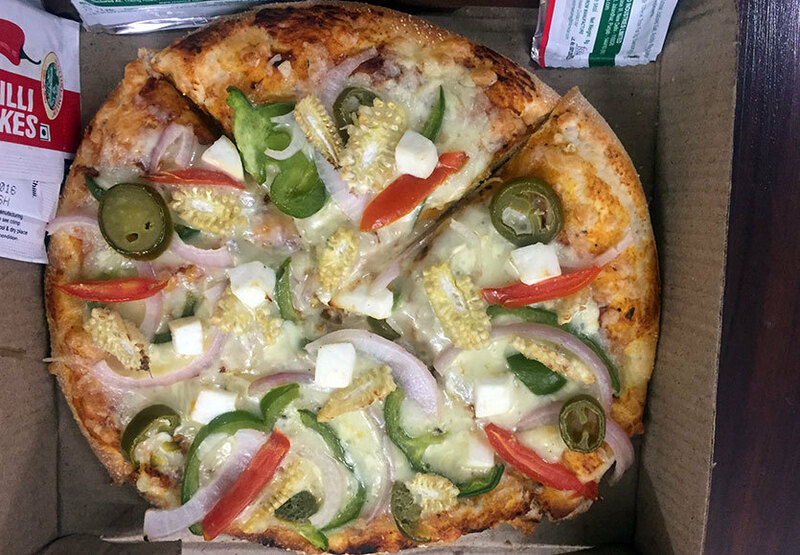 The moment we tore our piece of bread, we found a scrumptious filling inside of gooey cheese, baby corn & jalapenos and it was served with a mayo dip rather than a cheesy one - perhaps something that they can easily work on! Next up was the Summer 69 pizza which was disguised as a veggie pizza. Brimming with veggies and ingredients like tomatoes, baby corn, paneer, capsicum, onions and jalapenos, it was loaded with toppings, no doubt, however, the base was not at all crispy and slightly bland, which was a bit disappointing. Basically, we’ve had better pizzas! 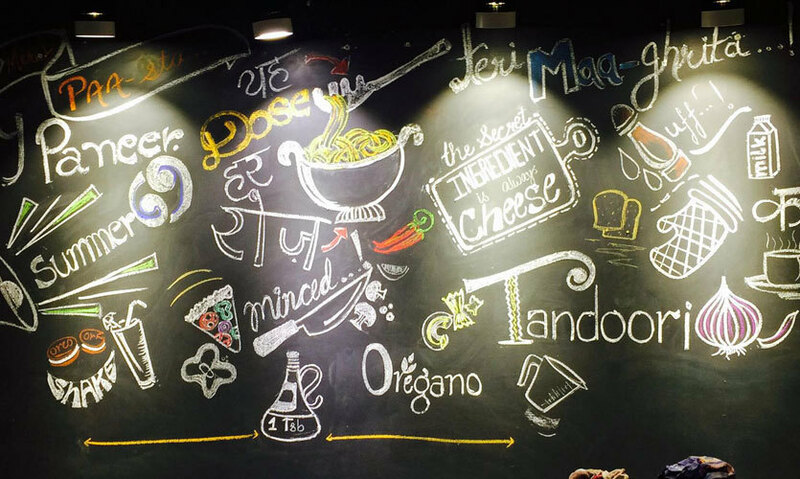 Tempted by the name itself, we ordered ourselves a Punjabi Tadka Pasta! 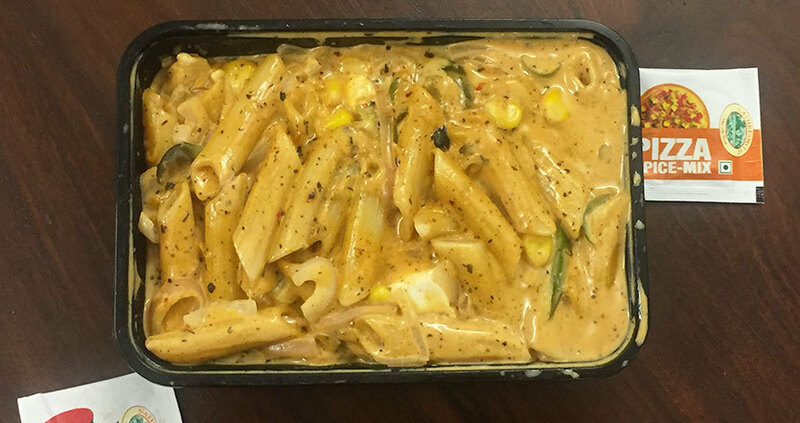 Bringing together the best of both the worlds; spiciness from the desi Punjabi cuisine and the beloved pasta from the Italian cuisine, we must say that Pasta La Vista was a glorious choice when it came down to this dish! It was super spicy (just the way we like it!) and had various things like corn, olives, onions, capsicum, paneer & plenty of herbs! A big fat thumbs up for this one. Overall we would definitely order up from them again and there would be quite a few repeats in terms of dishes which is a good thing, but until then, Hasta la vista, baby (we just couldn&apos;t resist saying this)!